The world recently faced the largest Ebola epidemic in history. Every day, in extreme heat and humidity, health care workers in Guinea, Liberia and Sierra Leone were performing life-saving tasks to stop the spread of the Ebola virus. They faced many obstacles providing timely care to patients. Health care workers needed new tools to win this fight. In response to this epidemic, the U.S. Agency for International Development (USAID) issued Fighting Ebola: A Grand Challenge for Development in partnership with the White House Office of Science and Technology Policy, the Centers for Disease Control and Prevention, and the U.S. Department of Defense. Launched by President Obama, the Ebola Grand Challenge seeks to harness the power of crowdsourcing, competition, and partnerships to identify breakthrough innovation that addresses specific barriers faced by health care workers to combat the current Ebola epidemic and better prepare the world for future outbreaks. 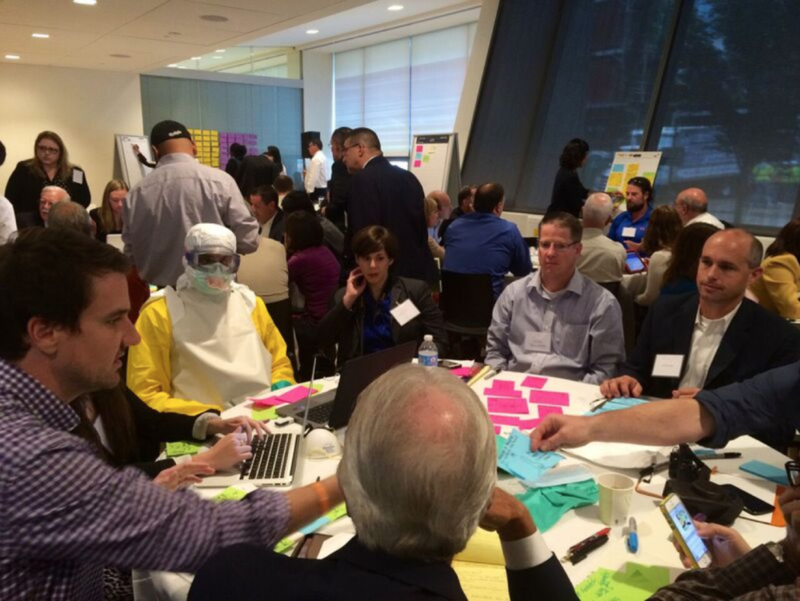 To kick off the Grand Challenge, USAID and the White House Office of Science and Technology Policy hosted a workshop that brought together some of the nation’s most innovative problem-solvers to share and develop ideas on how to redesign personal protective equipment for health care workers. Organizations across the country also hosted their own workshops and hackathons to rapidly prototype and design new solutions. In an overwhelming global response, Fighting Ebola received over 1,500 ideas, which underwent a rapid, rigorous review by U.S. Government experts and international partners. We selected 14 innovations that address a broad range of gaps in our response. The real objective is getting improved solutions into the field as quickly as possible. To ensure that happens, we’re working closely with our interagency and international partners to put in place clear and rigorous pathways to rapidly test and deploy the best ideas, building partnerships with manufacturers, helping provide access to testing sites in labs and in the field and linking the best ideas to those that can buy them.